A tranquil sanctuary along the breathtaking West Coast of Cape Town, this extremely popular wedding venue is set just outside the beautiful seaside village of Melkbosstrand and surrounded by a Fynbos Reserve. Atlantic Beach Golf and Leisure Club has been built with a serious commitment to the preservation of the indigenous fauna and flora which is reflected in the beautiful setting and outstanding views. The Residential Estate is situated around a Championship Links Style 18-hole golf course and the beautifully designed Clubhouse offers you the perfect location to hold your most special day, your wedding! Atlantic Beach Golf Club has the facilities to host weddings for up to 144 guests in the Atlantic Banquet Room or 120 guests with a dance floor and an additional 72 guests on the Terrace. On offer are a variety of menu options or the Executive Chef will assist you in creating a menu to suit your unique taste. 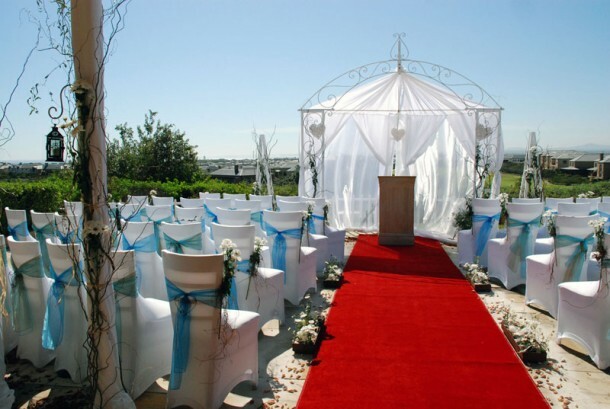 Atlantic Beach have on-site Wedding Coordinator who is there to assist and advise you on all the details and to help you fine-tune all aspects of your wedding day – allowing you the freedom to relax and enjoy yourself. 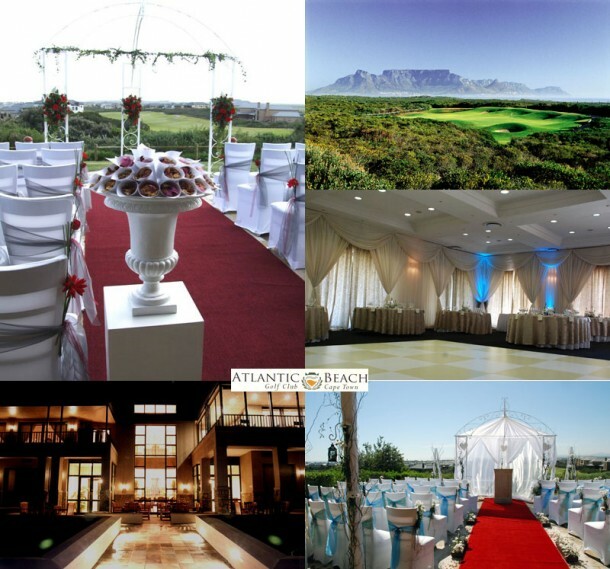 Whether you desire an intimate gathering or a lavish affair, the Team at Atlantic Beach Golf Club have a reputation for being committed to coordinating and executing flawless weddings and special events. To find out about holding your wedding here contact the wedding coordinator on telephone +27 (0)21 553-2223 or visit Atlantic Beach Golf Club to see more photographs or to send an enquiry. Please forward me contact details including an email address for the Wedding coordinator. Would like to find out what your wedding packages are that you offer. What the venue higher costs are? Can outside caterers be used? Approximate amount of guests is 80 people.